It's always a good idea to scrub the grates whenever you use your grill. But when you’re cleaning, it’s time for a heavy-duty scrub. Use the metal edge of the brush to remove any leftover food attached to the grates. When you're done, remove the grates, set them aside and scrub the bottom of the grill too. The burner protectors have the dirty job of preventing clogs in your burners. Remove them first (they should pull right out) before dipping your old sponge into the soapy water and scrubbing the protectors until they shine. 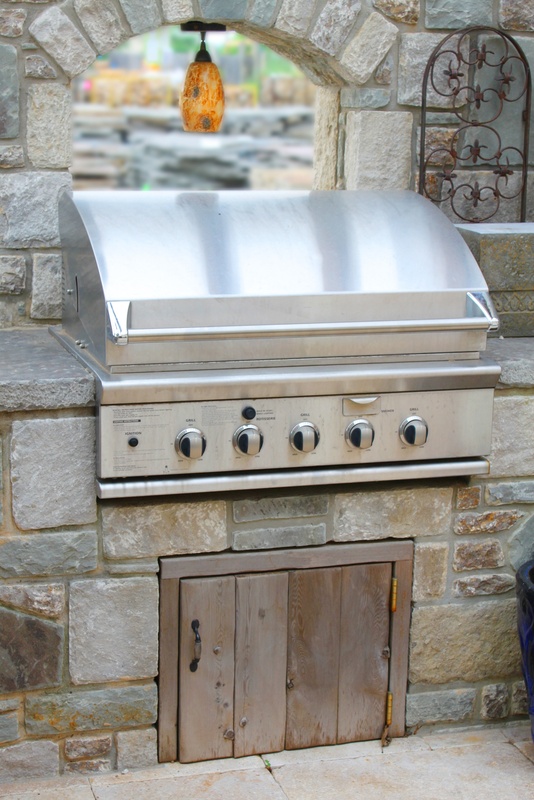 Depending on the type of grill you have, your burners may lift out as easily as their protectors. If they give you any resistance, leave them where they are and wipe them down with a wet sponge. Otherwise, remove them, clean them and put them back into place. You'll probably be surprised by how much grime you'll remove. Remove the plates at the bottom of the grill. Most “grill gunk” settles on the plates, and they should easily detach, so you can clean them with both ends of your grill brush. Now, the only thing left is the removable bottom tray, which should slide right out of your grill. You may find anything down here, from grease and grime to thick chunks of char. Scrape the remnants into the garbage bag before cleaning the tray with a soapy sponge.